What should I do with the old girl? Should I break her or sell her? Re: What should I do with the old girl? When were you last at a trackday? after the front bumper is off /grille headlights theres nothing there. pointless waste of a car. Ah, banger racing is a different question, totally agree on that one! Get shut. It's the sensible thing to do. 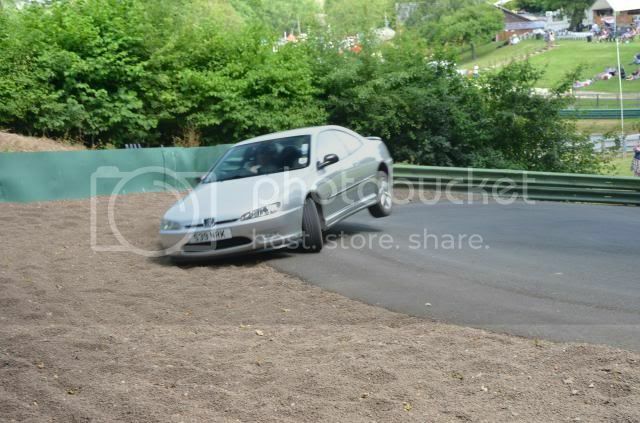 jonny81191 wrote: Although there are very few 406's out on track, the last one I saw was a coupe at pugfest and that went into the gravel at the hairpin..
Too true....I was the passenger! That is such a brilliant photo -- taken just at the right moment. It didn't look that bad from the ground, and of course it was all over so soon. How was it from the copilot's seat? rwb wrote: How was it from the copilot's seat?